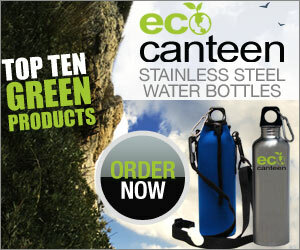 ecoCanteen is a stainless steel water bottle that you can re-use over and over again. It has a sport top with carbainer clip that lets you clip it to your bookbag, purse, gym bag or stroller. The Wide-Mouth Lid means no handwashing, no brushes, and it’s easy to clean in your dishwasher. The wide-mouth allows you to add in ice-cubes easily! Save 50% off the ecoCanteen and receive a free insulated tote as a bonus!